As the wedding season starts to slow down for us, Chris and I finally had some time off to focus on our own wedding anniversary celebration and decided to hit the road for some fun hiking and landscape photography. We shot a wedding along the Umpqua River two summers ago and discovered the Toketee Water Fall. We didn’t have time to explore and take photos as we had wanted to. But we promised each other that we would soon visit the area again. Toketee Falls is one of the most famous waterfalls in all of Oregon, renowned far and wide for the graceful columnar basalt formation framing the two-stepped falls. 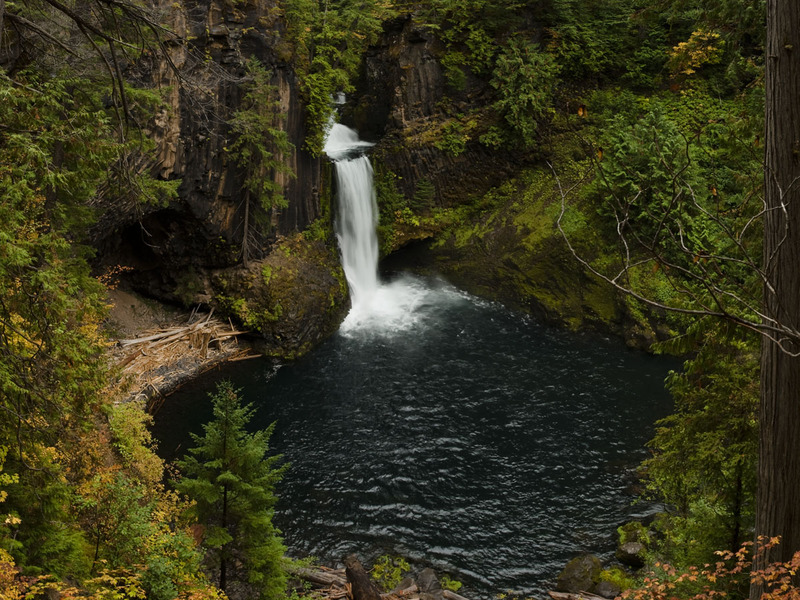 The North Umpqua River has carved a sinuous gorge out of the lava flow, resulting in a waterfall of 113 feet in height – a 28 foot upper tier which plunges into a pool flanked by a deep alcove, followed by an 85 foot plunge into a large pool. At the trailhead, the wooden 12 foot diameter Toketee Pipeline is passed, which diverts much of the volume of the North Umpqua River to a powerhouse downstream. This artificial taming of the river allows the waterfall to flow in an extremely consistent manor all year long. It was gorgeous!! Of course…we broke all the rules and climbed over a fence to get a better view. 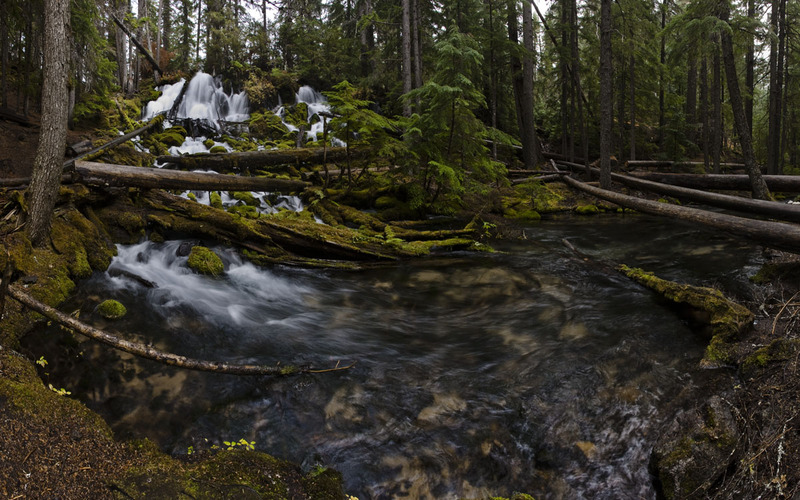 One of my favorite spots was this area called Clear Water Falls …. it’s named that for a reason! I have NEVER in my life seen a water fall and river that was so clear… it was incredible not even our photos do it justice. We didn’t camp there… but I would highly suggest it for the summer months. It’s truly a magical place… the water is so clear you feel as though you could just reach down and drink it.